Outfit your casual dining or kitchen area with this fun grouping of dining pieces. Including both standard and counter height dining sets, this collection makes it easy to add a splash of color to your home. 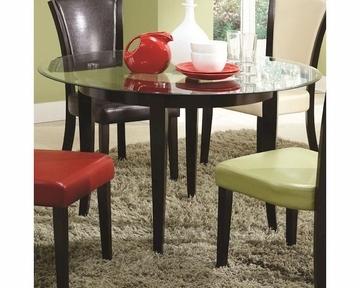 Chairs and stools feature chic, upholstered vinyl seat and seat backs in red, brown, green, and ivory. The tables are lifted on tapered legs and have tempered glass table tops for a classy look and feel. Finished in a warm Espresso to enrich your home. Liven up your dining or kitchen space with this casual dining table. Crafted with a rich Espresso finish, it is lifted on pretty tapered legs. A round, tempered glass table top adds a classy design touch and provides plenty of dining space for your entertaining needs. 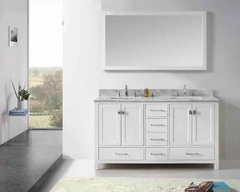 The table top also provides space to place items you want to show off and put on display. Simple with just the right touch of detail, this casual dining table is a lovely piece to top of your home design.